The gateway to America's 49th State & "The Last Frontier"
Sourdough Tours is waiting to show you the rugged beauty, historic charm, and frontier spirit that makes Alaska your destination of choice. 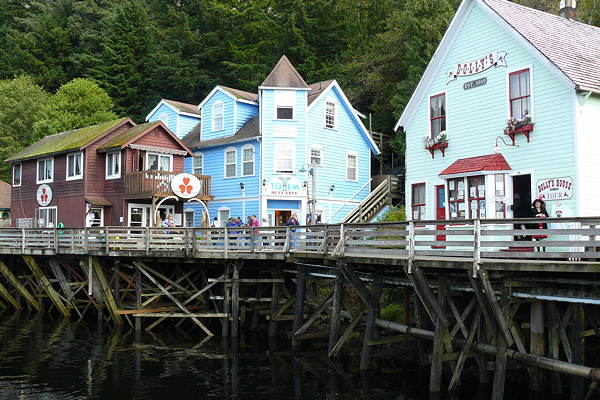 Let Sourdough Tours give you an unforgettable view of Ketchikan. Whether you're making plans to visit Ketchikan by cruise ship, Alaska ferry, or airplane, we offer fully narrated guided tours of Ketchikan's historic sites and Native cultures. Alaska Sourdough Tours has several tours available. Our most popular, the Wildlife, City & Saxman Native Village Tour. This tour combines wildlife, totem poles, and a city tour, all in one. This tour also includes 10 miles of breathtaking waterfront and seasonal Alaskan wildlife. After you've seen it by land, you'll want to see it from the air on a flightseeing tour. Alaska's premiere floatplane airline can show you the beauty and grandeur that is truly the last frontier. Book your flightseeing tour now and see the majestic Misty Fjords from an eagle's eye view. Sourdough Tours can also make arrangements for other Flightseeing Tours and Fishing Charters. Custom and private tours are available. Located just inside the Ketchikan Visitors Bureau at booth No. 14 you will find our friendly staff ready to book your tour. Or avoid the lines and make your reservation online now. All tours depart from the Ketchikan Visitors Bureau and you can also pick up a Free Walking Tour Map there! Contact us for commission information if you are a Travel Agent or group leader. Discounts are available for AAA travel agents and AARP members age sixty and over (ID required). Click on the tabs below to see tour details. 2 Hours - During the salmon season, black bears, eagles, herons and seals are often spotted in the Herring Bay area. 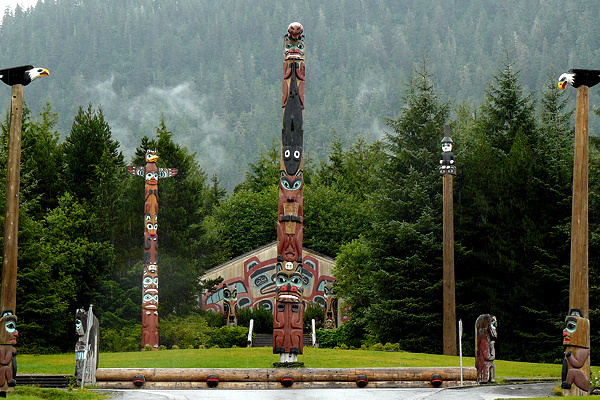 You will see Saxman Native Village and Totem Park, the world's largest standing collection of totem poles. You will also see historic Creek Street. 3 Hours - See Totem Bight State Park, the Russian Museum, Ketchikan City Highlights, Saxman Native Village, and Creek Street. Your guide will point out various places of interest and wildlife while you enjoy 16 miles of breathtaking waterfront. You will hear the legends of the Tlingit and Haida totem poles and walk along a path in a lush rain forest to the beach. 1.5 Hours - You'll soar over majestic fjords, cascading waterfalls, and jewel-like lakes in the Misty Fjords National Monument with a chance of seeing whales, seals, sea lions, mountain goats, eagles, brown bears, and black bears. 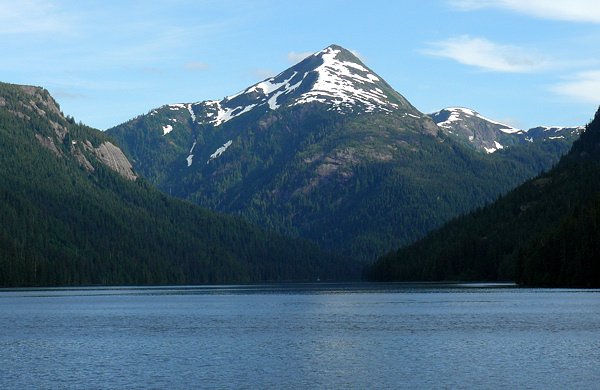 Ketchikan is one of the finest salmon and halibut fishing locations in the world. Seasoned anglers, as well as first-time fisherman, come from around the world to experience the finest in King and Coho salmon fishing. Have your catch smoked or canned and sent to your home.